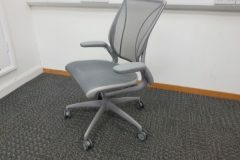 These used Humanscale Diffrient World operator chairs are finished in grey mesh. 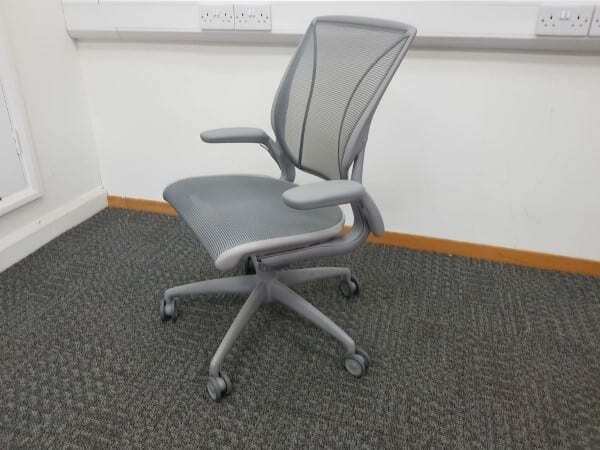 Designed by Niels Diffrient, these ergonomic and user-friendly chairs are minimal, lightweight and fully functional, using the user’s body weight to offer the perfect recline and sitting experience. 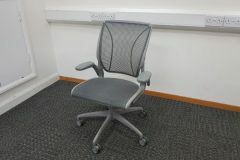 These operator chairs can be viewed in our showroom along with all our other used office furniture. 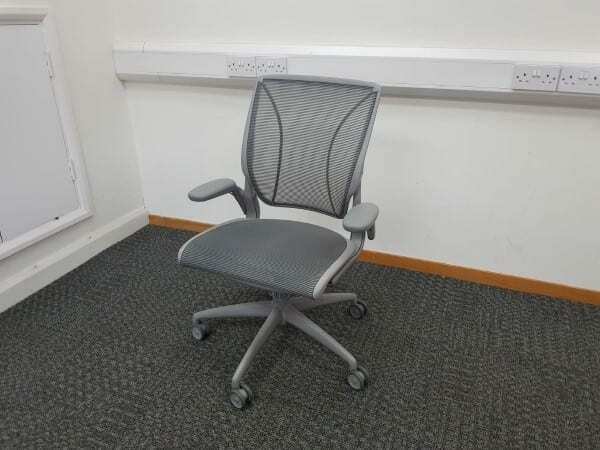 If these are not exactly what you are looking for, we have other executive operator chairs in stock, such as the iconic Herman Miller Aeron Chairs, so please contact one of our sales team on 07944 508282 for more information. If you are viewing our website on a mobile device, you can click on the Telephone Icon located at the bottom of this page, or simply enter your details into our ‘Request a Quote Online Form‘ below and one of our sales team will be in touch very soon.